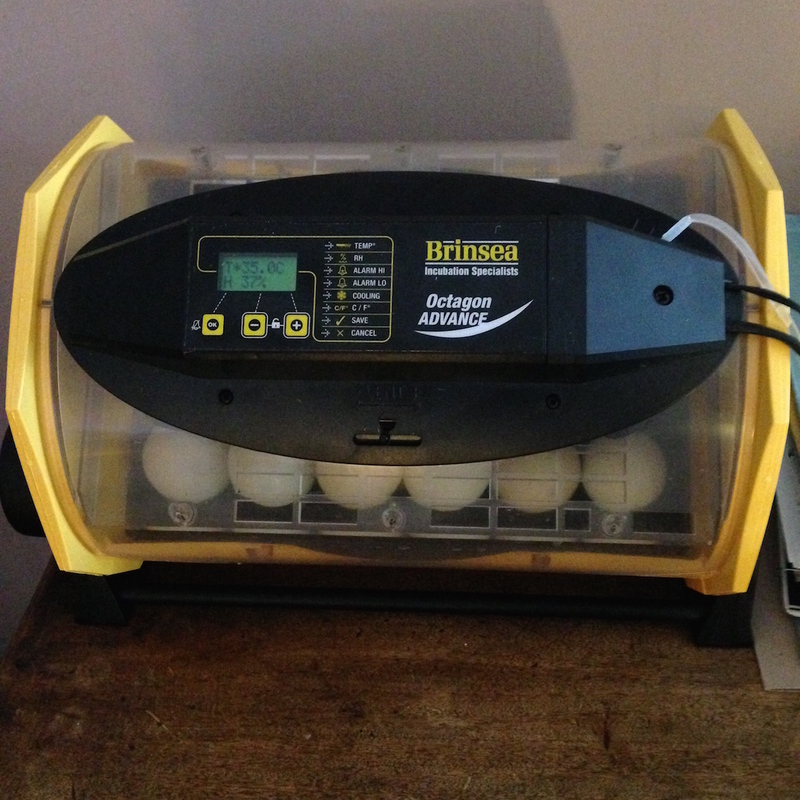 In between everything else I have started incubating some eggs. 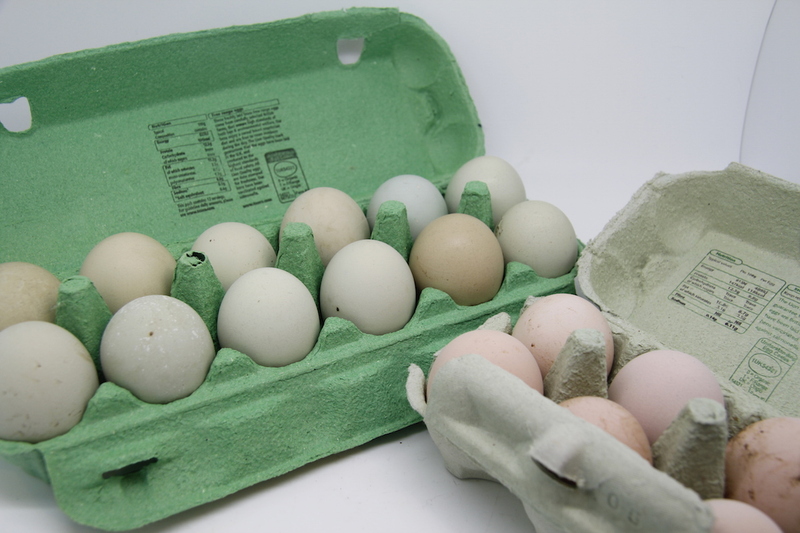 The greenish ones above are from green egg layers and the ones on the right are Ixworth/Naked Neck crosses. These are an experiment – I want to see how they do as laying/meat birds compared to Ixworths and Naked Necks separately. 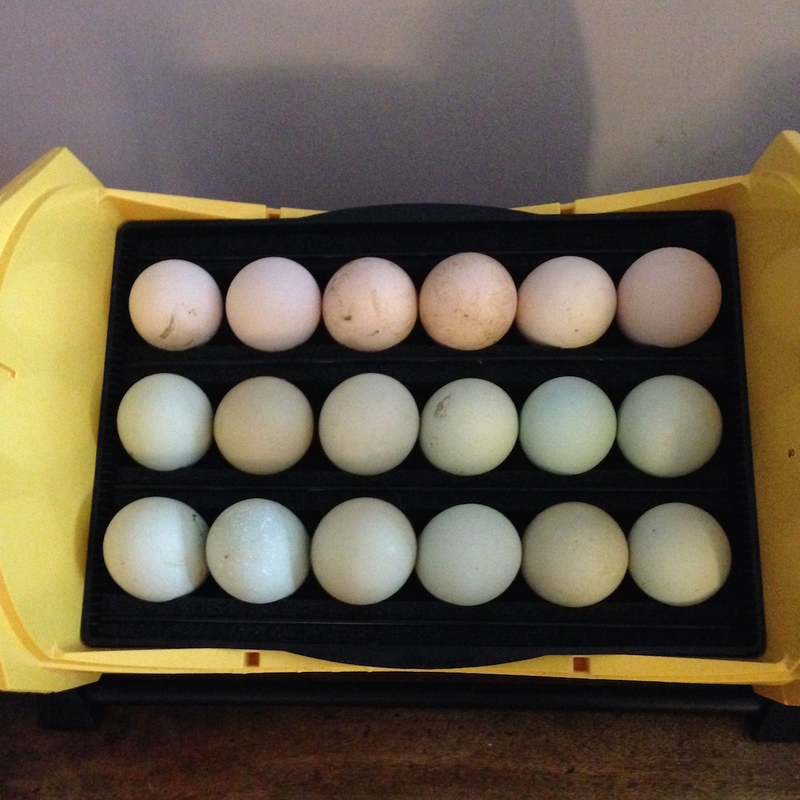 These eggs are in the incubator and are due to hatch out on the 6th May. 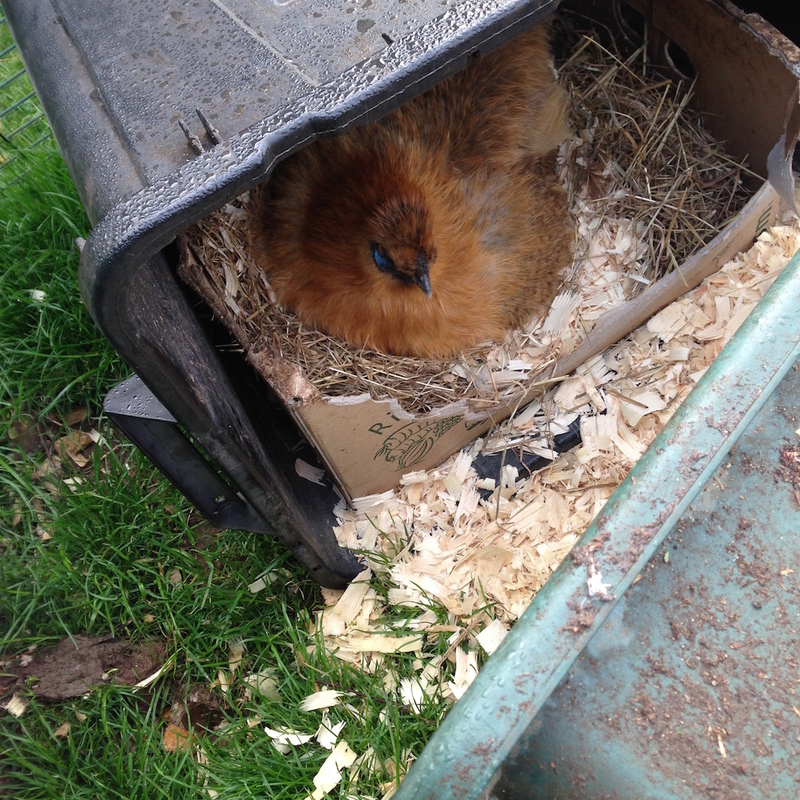 I have also put some of the Ixworth eggs from the front garden chickens under a couple of broody Silkies – the wonderful Bobblehead, her copper daughter (below) and a Pekin-Hybrid cross. Bobblehead and the Pekin are sitting in the small Omlet coop and are due to hatch on the 23rd. The copper silkie above is die to hatch about 2/3 May. She is sitting in the run. I might move her to her won quarters once the chicks hatch in case they distract her from her eggs. I do hope some of the hatch and the two cockerels in the front have done their job and not just been noisy – otherwise it will be coq auvin all round. NB turkeys are sitting in a crazy turkey heap to which they keep adding eggs – I should have been more observant – hopefully we will get a few turkeys from them. I have no idea when they will hatch!